Westline Entertainment, organisers of the Western Music Awards (WMA) has organised a day's seminar for artistes and stakeholders in the music industry at the SSNIT Conference Room in Takoradi. 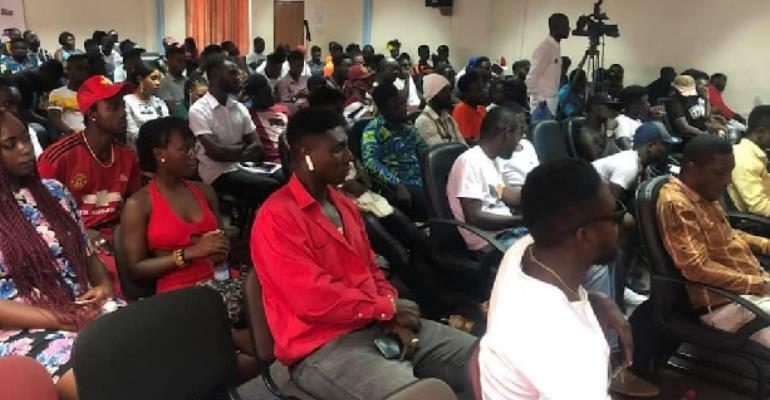 The seminar, which was organised to upgrade the skills of Ghanaian artistes and other music stakeholders to enable them to meet the challenges ahead of them in their chosen career, was attended by over 130 participants. It featured some of the most seasoned music personalities in Ghana who shared ideas, principles and experiences they have acquired within the music circuit over the years with participants. Some of the personalities were Zap Mallet, Nana Otu Gyandoh, Trigmatic, Joseph Atubiga, Richard Sumah and J.M Caesar. Topics treated at the seminar were rudiments of music production, the show business, artiste and media relations, benefits of registering with MUSIGA, music distribution, promotion, marketing, among others. During the seminar, the organisers announced that this year's edition of the Western Music Awards ceremony will take place on Saturday, May 11 at the Atlantic Hotel in Takoradi. Other events like nominees' jam and artistes' socialisation are the two other events that will be rolled out prior to the awards night.